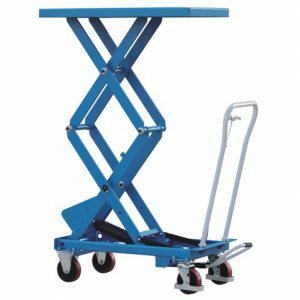 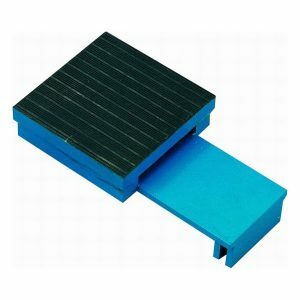 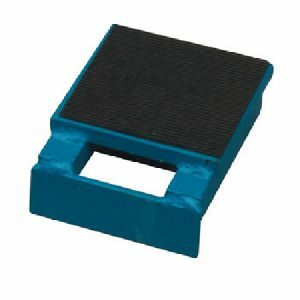 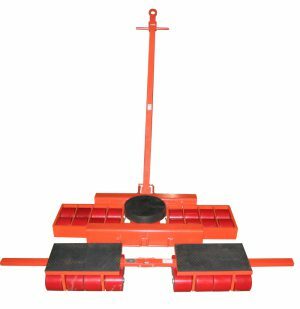 Straddle stackers with fixed straddle legs are ideal for picking up various sizes of pallets, of open and closed design. The Straddle legs fit around the outside of the pallet, allowing lifting of closed bottom (slatted type pallets) – which cannot be lifted with traditional stacker trucks. 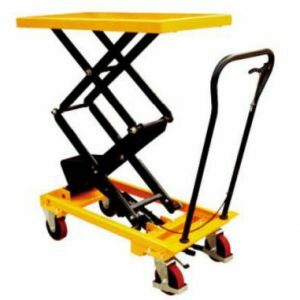 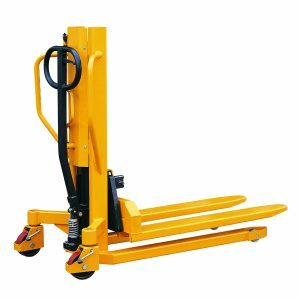 The width between the straddle legs is 1250mm, allowing lifting of the most popular of pallets – normally 120x80cm or 120x100cm. 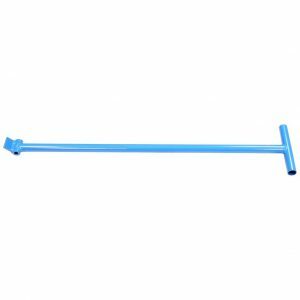 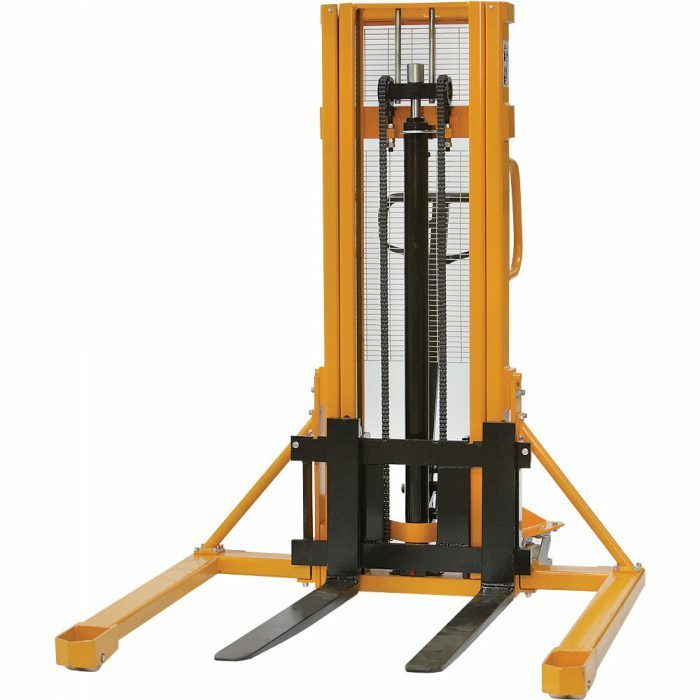 The lifting forks are adjustable with an outside diameter of between 350mm and 710mm, therefore they are more versatile and can offer more support than fixed forks on wider loads. 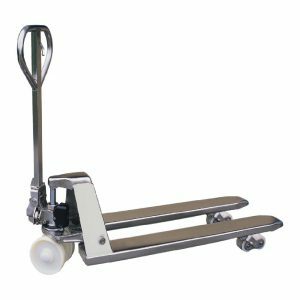 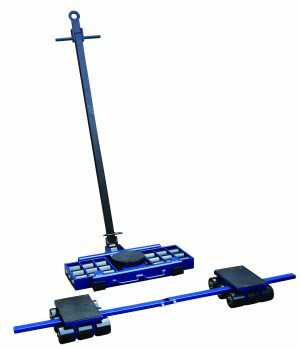 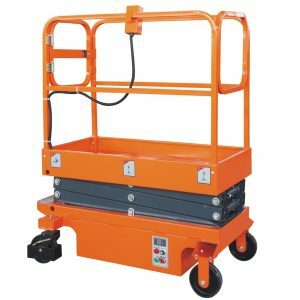 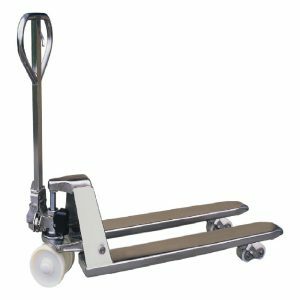 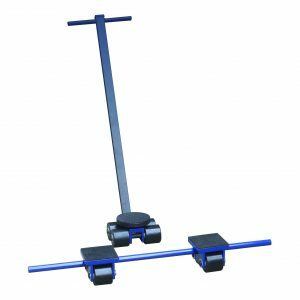 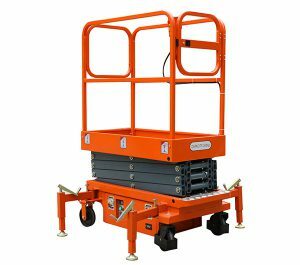 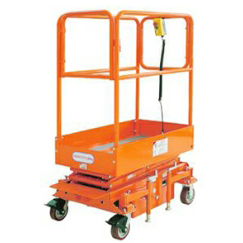 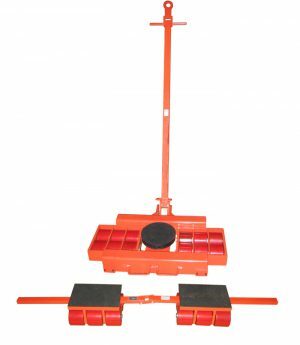 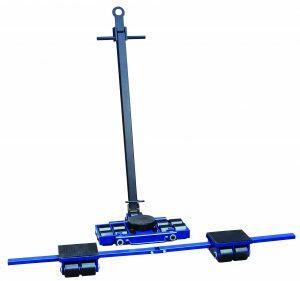 This straddle stacker also features a handle and foot operated pedal for lifting the load.